1st floor: 260 square meters. ID: 2142 Luxury Sea View Apartment for sale in Alimos, Athens Greece. ID: 2145 Sea View Apartment for sale in Alimos, Athens Greece. ID: 2146 Sea View apartment for sale in Alimos, Athens Greece. ID: 2259 Sea front apartment for sale in Alimos, Athens Greece. ID: 2131 Apartment for sale in Athens (Gazi). ID: 2502 Apartment (Loft) for sale in Athens (Metaxourgio) Greece. ID: 2503 Apartment for sale in Athens (Metaxourgio) Greece. ID: 2504 Apartment for sale in Athens (Metaxourgio) Greece. ID: 2505 Apartment for sale in Athens (Metaxourgio) Greece. ID: 1039 Apartment for sale in Elliniko. Real estate in Athens Greece. ID: 1040 Apartment for sale in Elliniko. Real estate in Athens Greece. ID: 1041 Apartment for sale in Elliniko. Real estate in Athens Greece. ID: 1043 Apartment for sale in Elliniko. Real estate in Athens Greece. ID: 1149 Apartment for sale in Elliniko. Real estate in Greece. ID: 1151 Apartment for sale in Elliniko. Real estate in Greece. ID: 1152 Apartment for sale in Elliniko. Real estate in Greece. ID: 1363 Apartment for sale in Elliniko. Real estate in Greece. ID: 1364 Apartment for sale in Elliniko. Real estate in Greece. ID: 1365 Apartment for sale in Elliniko. Real estate in Greece. ID: 1367 Apartment for sale in Elliniko. Real estate in Greece. ID: 1368 Apartment for sale in Elliniko. Real estate in Greece. ID: 1369 Apartment for sale in Elliniko. Real estate in Greece. ID: 1375 Apartment for sale in Elliniko. Real estate in Greece. ID: 1379 Apartment for sale in Elliniko. Real estate in Greece. ID: 1698 Luxury apartment for sale in Elliniko, Athens Greece. ID: 2230 Sea View apartment for sale in Elliniko, Athens Greece. ID: 430 Apartment for sale in Glyfada. Real Estate in Athens, Greece. ID: 1010 Apartment for sale in Glyfada. Real estate in Athens Greece. ID: 1139 Apartment for sale in Glyfada. Real estate in Greece. ID: 1141 Apartment for sale in Glyfada. Real estate in Greece. ID: 1143 Apartment for sale in Glyfada. Real estate in Greece. ID: 1144 Apartment for sale in Glyfada. Real estate in Greece. ID: 1485 Apartment for sale in Glyfada. Real estate in Greece. ID: 1486 Apartment for sale in Glyfada. Real estate in Greece. ID: 1488 Apartment for sale in Glyfada. Real estate in Greece. ID: 1523 Apartment for sale in Glyfada (Aixoni). ID: 1526 Apartment for sale in Glyfada (Aixoni). ID: 1529 Apartment for sale in Glyfada (Aixoni). ID: 1680 Apartment for sale in Glyfada. Real Estate in Athens, Greece. ID: 1876 Apartment for sale in Glyfada center. ID: 1904 Apartment for sale in Glyfada Center. ID: 1989 Luxury apartment for sale in Glyfada, Athens Greece. ID: 2047 Apartment for sale in Glyfada (Pirnari), Athens Greece. ID: 2048 Apartment for sale in Glyfada (Pirnari), Athens Greece. ID: 2049 Penthouse for sale in Glyfada (Pirnari), Athens Greece. ID: 2050 Apartment for sale in Glyfada, Athens Greece. ID: 2051 Apartment for sale in Glyfada, Athens Greece. ID: 2150 Apartment for sale in Glyfada Center, Athens Greece. ID: 2284 Apartment for sale in Glyfada, Athens Greece. ID: 2312 Apartment for sale in Glyfada Center. ID: 2366 Sea View Apartment for sale in Glyfada, Athens Greece. ID: 2405 Furnished apartment for sale in Glyfada Center. ID: 2472 Furnished Apartment for rent in Glyfada (Golf), Athens Greece. ID: 2473 Apartment for sale in Glyfada (Golf), Athens Greece. ID: 2540 Apartment for sale in Glyfada. ID: 2621 Apartment for sale in the heart of Glyfada center. ID: 2794 Apartment for sale in Glyfada (Golf), Athens Greece. ID: 2819 Apartment for sale in Glyfada (Pirnari), Athens Greece. ID: 2820 Apartment for sale in Glyfada (Pirnari), Athens Greece. ID: 2821 Apartment for sale in Glyfada (Pirnari), Athens Greece. ID: 2822 Apartment for sale in Glyfada (Pirnari), Athens Greece. ID: 2823 Apartment for sale in Glyfada (Pirnari), Athens Greece. ID: 2949 Apartment for sale in central Glyfada, Athens Greece. ID: 2057 Apartment for sale in Kallithea, Athens Greece. ID: 2539 Apartment for sale in Pagrati. ID: 1743 Apartment for sale in Paleo Faliro. ID: 1850 Sea view apartment for sale in Paleo Faliro, Athens Greece. ID: 1851 Sea View apartment for sale in paleo Faliro, Athens Greece. ID: 2099 Sea View Apartment for sale in Paleo Faliro, Athens Greece. ID: 2211 Apartment for sale in Paleo Faliro. ID: 2136 Apartment for sale in Neo Faliro, Athens Greece. ID: 2497 Sea view apartment for sale in Pireas (Kastella), Athens Greece. 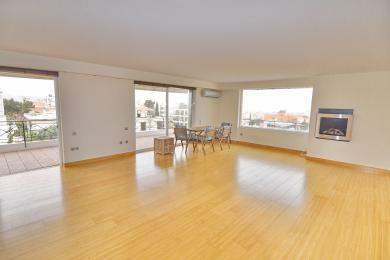 ID: 33 SARONIDA, APARTMENT FOR SALE. ID: 2056 Sea View apartment for sale in Saronida, Athens Greece. ID: 1177 Apartment for sale in Varkiza. Real estate in Greece. ID: 2574 Sea View apartment for sale in Varkiza, Athens Greece. ID: 2575 Sea View apartment for sale in Varkiza, Athens Greece. ID: 267 Apartment for sale in Voula. Real Estate in Greece. ID: 303 LUXURIOUS APARTMENT FOR SALE IN VOULA. ID: 514 Apartment for sale in Voula. Real Estate in Greece. ID: 1479 Apartment for sale in Voula. Real estate in Greece. ID: 1837 Sea View apartment for sale in Voula Center, Athens Greece. ID: 1939 Apartment for sale in Voula. Real estate in Athens Greece. ID: 1953 Apartment for sale in Voula. ID: 1954 Apartment for sale in Voula. Real estate in Athens Greece. ID: 2321 Apartment for sale in Voula, Athens Greece. ID: 2725 Apartment for sale in Voula, Athens Greece. ID: 2726 Apartment for sale in Voula, Athens Greece. ID: 2727 Apartment for sale in Voula, Athens Greece. ID: 1282 Apartment for sale in Vouliagmeni (Asteras beach - Lemos). ID: 1594 Apartment for sale in Kavouri. ID: 2016 Apartment for sale in Kavouri, Athens Greece. ID: 2881 Apartment for sale in Vouliagmeni, Athens Greece. ID: 2496 Apartment building for sale in Artemida (Loutsa) Greece. ID: 2921 Apartment building for sale in Athens (Koukaki). 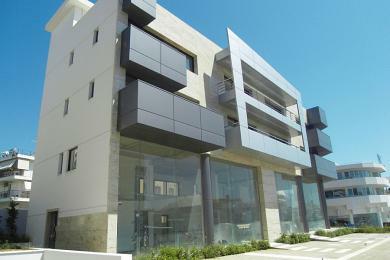 ID: 91 Glyfada, Large commercial project for sale. ID: 357 Commercial building for sale in Glyfada. ID: 2223 Building for sale in Glyfada Center. ID: 2381 Apartment building for sale in Glyfada, Athens Greece. ID: 2386 Apartment building for sale in Glyfada Center, Athens Greece. ID: 2447 Commercial building for sale in Glyfada Center. ID: 2266 Apartment building for sale in Varkiza, Athens Greece. ID: 1334 Apartment building for sale in Voula. Real estate in Greece. ID: 2117 Commercial building for sale in Voula, Athens Greece. ID: 2217 Building for sale in Voula, Athens Greece. ID: 2301 Apartment building for sale in Voula, Athens Greece. ID: 2318 Apartment building for sale in Voula, Athens Greece. ID: 2323 Residential building for sale in Voula, athens Greece. ID: 1638 Apartment building for sale in Vouliagmeni. ID: 1931 Triplex for sale in Alimos (Pani area). ID: 1035 Duplex apartment in Elliniko. Real estate in Athens Greece. ID: 1036 Triplex apartment for sale in Elliniko. Real estate in Athens. ID: 1037 Duplex apartment for sale in Elliniko. Real estate in Athens. ID: 1042 Triplex apartment for sale in Elliniko. Real estate in Athens. ID: 1146 Duplex apartment for sale in Elliniko. Real estate in Greece. ID: 1695 Duplex apartment for sale in Elliniko, Athens Greece. ID: 2226 Duplex apartment for sale in Elliniko. ID: 2772 Triplex apartment for sale in Elliniko. ID: 272 Duplex apartment in Glyfada. Real Estate in Athens, Greece. ID: 559 Duplex apartment in Glyfada. Real Estate in Athens, Greece. ID: 773 Duplex apartment in Glyfada. Real Estate in Athens, Greece. ID: 1281 Duplex Apartment for sale in Glyfada. Real estate in Greece. ID: 1303 Town house for sale in Glyfada. Real estate in Greece. ID: 1562 Duplex apartment for sale in Glyfada (Golf). ID: 1896 Duplex apartment for sale in Gyfada Center. ID: 1986 Townhouse for sale in Glyfada, Athens Greece. ID: 2139 Duplex apartment for sale in Glyfada, Athens Greece. ID: 2194 Duplex apartment for sale in Glyfada, Athens Greece. ID: 1386 Duplex apartment for sale in Lagonisi. ID: 1387 Duplex apartment for sale in Lagonisi. ID: 1391 Duplex apartment for sale in Lagonisi. ID: 1392 Duplex apartment for sale in Lagonisi. ID: 1394 Duplex apartment for sale in Lagonisi. ID: 1395 Duplex apartment for sale in Lagonisi. ID: 1396 Duplex apartment for sale in Lagonisi. ID: 1402 Duplex apartment for sale in Lagonisi. ID: 1405 Duplex apartment for sale in Lagonisi. ID: 1406 Duplex apartment for sale in Lagonisi. ID: 1407 Duplex apartment for sale in Lagonisi. ID: 1591 Duplex apartment for sale in Paleo Faliro. ID: 874 MODERN DUPLEX APARTMENT FOR SALE IN SARONIDA. ID: 1175 Duplex apartment for sale in Varkiza. Real estate in Greece. ID: 481 Luxury Sea View apartment for sale in Voula. ID: 498 Duplex apartment in Voula. Real Estate in Greece. ID: 1136 Duplex apartment for sale in Voula (Panorama). ID: 1473 Duplex garden level apartment for sale in Voula. ID: 2062 Duplex apartment for sale in Voula, Athens Greece. ID: 2224 Triplex apartment for sale in Voula. ID: 2299 Duplex apartment for sale in Voula, Athens Greece. ID: 2300 Duplex apartment for sale in Voula, Athens Greece. ID: 2305 Townhouse for sale in Voula, Athens Greece. ID: 2335 Duplex apartment for sale in Voula, Athens Greece. ID: 2401 Luxury Duplex for sale in Voula (Panorama), Athens Greece. ID: 1735 Maisonette for sale in Vouliagmeni. ID: 2144 Top floor Duplex for sale in Kavouri, Athens Greece. ID: 1808 Townhouse for sale in Naxos, Greece. ID: 1441 Hotel for sale on the Greek island of Corfu. ID: 1416 Boutique Hotel for sale in Santorini. ID: 146 VILLA FOR SALE IN ANCIENT EPIDAVROS. ID: 2358 House for sale in Alimos, Athens Greece. 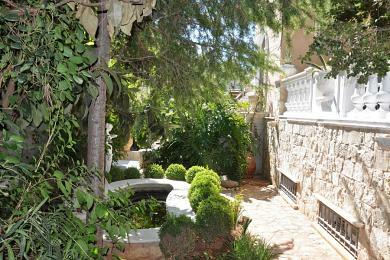 ID: 916 House for sale in Athens with Acropolis views. ID: 918 House in Athens with Acropolis views. Real estate in Athens. ID: 1003 Residential building for sale in Athens (Acropolis). ID: 1272 House for sale in Plaka. Real estate in Greece. ID: 2263 House for sale in Elliniko, Athens Greece. ID: 1157 HOUSE FOR SALE IN GERAKAS. ID: 197 House for sale in Glyfada. Real Estate in Athens, Greece. ID: 257 House for sale in Glyfada. Real Estate in Athens, Greece. ID: 683 House for sale in Glyfada. Real Estate in Athens, Greece. ID: 1252 House for sale in Glyfada. Real estate in Greece. ID: 1821 House for sale in Glyfada, Athens Greece. ID: 1859 House for sale in Glyfada, Athens Greece. ID: 2175 House for sale in Glyfada (Aixoni), Athens Greece. ID: 2425 Detached House with Swimming Pool for Sale, Glyfada, Athens. ID: 60 LAGONISI, HOUSE FOR SALE. ID: 63 LAGONISI, HOUSE FOR SALE. ID: 1287 Town house for sale in Lagonisi. Real estate in Greece. ID: 1381 LAGONISI, HOUSE FOR SALE. ID: 1383 LAGONISI, HOUSE FOR SALE. ID: 1388 LAGONISI, HOUSE FOR SALE. ID: 1389 LAGONISI, HOUSE FOR SALE. ID: 1393 LAGONISI, HOUSE FOR SALE. ID: 1398 LAGONISI, HOUSE FOR SALE. ID: 1399 LAGONISI, HOUSE FOR SALE. ID: 1403 LAGONISI, HOUSE FOR SALE. ID: 1404 LAGONISI, HOUSE FOR SALE. ID: 2026 House for sale in Lagonisi, Athens Greece. ID: 2040 House for sale in Lagonisi, Athens Greece. ID: 2665 House for sale in Lagonisi, Greece. ID: 1094 House for sale in Saronida. Real estate in Greece. ID: 1274 House for sale in Vari. Real estate in Greece. ID: 1846 House for sale in Vari, Athens Greece. ID: 2281 Detached House for sale in Vari, Athens Greece. ID: 1329 House for sale in Varkiza. Real estate in Greece. ID: 270 House for sale in Voula. Real Estate in Greece. ID: 476 House for sale in Voula. Real Estate in Greece. ID: 577 Villa for sale in Voula. Real Estate in Greece. ID: 721 House for sale in Voula. Real Estate in Greece. ID: 758 House for sale in voula. Real Estate in Greece. ID: 1135 House for sale in Voula (Panorama). Real estate in Greece. ID: 2030 House for sale in Voula, Athens Greece. ID: 2258 House for sale in Voula, Athens Greece. ID: 2431 Town house for Sale in Voula (Panorama), Athens Greece. ID: 1579 House for sale in Vouliagmeni. Real estate in Greece. ID: 1580 House for sale in Vouliagmeni. Real estate in Greece. ID: 1679 House for sale in Vouliagmeni. ID: 2476 House for sale in Vouliagmeni (Kavouri), Athens Greece. ID: 2403 Heritage House for Sale in Santorini (Oia), Greece. ID: 2178 Plot for sale in Agia Marina, Athens Greece. ID: 79 ATHENS, LAND FOR SALE. ID: 479 Land for sale in Elliniko (Coastal road). ID: 2478 Plot for sale in Elliniko, Athens Greece. ID: 2372 Corner plot for sale in Glyfada, Athens Greece. ID: 2474 Plot for sale in Glyfada, Athens Greece. ID: 2733 Land for sale in Glyfada (Exoni), Athens Greece. ID: 2911 Plot for sale in Glyfada (Golf), Athens Greece. ID: 2485 Plot for sale in Lagonisi, Athens Greece. ID: 77 LYKOVRISI, LAND FOR SALE. ID: 78 LYKOVRISI, LAND FOR SALE. ID: 81 SARONIDA, LAND FOR SALE. ID: 82 SARONIDA, LAND FOR SALE. ID: 120 SARONIDA (MAVRO LIHARI), BLOCK OF LAND FOR SALE. ID: 1109 Land for sale in Saronida. Real estate in Greece. ID: 2110 Land for sale in Saronida, Athens Greece. ID: 2111 Land for sale in Saronida, Athens Greece. ID: 2112 Land for sale in Saronida, Athens Greece. ID: 2188 Land for sale in Saronida, Athens Greece. ID: 2189 Land for sale in Saronida, Athens Greece. ID: 2200 Plot for sale in Saronida. ID: 2208 Plot for sale in Saronida. ID: 2264 Land for sale in Saronida, Athens Greece. ID: 1317 Land for sale in Voula. Real estate in Greece. ID: 1319 Land for sale in Voula (Panorama). Real estate in Greece. ID: 1320 Land for sale in Voula. real estate in Greece. ID: 1326 Land for sale in Voula. Real estate in Greece. ID: 1520 Privileged plot for sale in Voula Center. ID: 1824 Land for sale in Voula, Athens Greece. ID: 1828 Land for sale in Voula, Athens Greece. ID: 1943 Plot for sale in Voula. Real estate in Athens Greece. ID: 2176 Plot for sale in Voula (Panorama), Athens Greece. ID: 2209 Plot for Sale In Voula, Athens Greece. ID: 2251 Land for sale in Voula (Panorama), Athens Greece. ID: 2286 Corner plot for sale in Voula, Athens Greece. ID: 2469 Plot for sale in Voula, Athens, Greece. ID: 2602 Corner plot for sale in Voula (Dikigorika). ID: 1299 Land for sale in Vouliagmeni. Real estate in Greece. ID: 1300 Land for sale in Vouliagmeni. Real estate in Greece. ID: 2896 Land for sale in Kos, Greece. ID: 1214 Land for sale in Evia. Real estate in Greece. ID: 121 AGIOS NIKOLAOS (ANAVISSOS), BLOCK OF LAND FOR SALE. ID: 122 ANAVISSOS (ELAIONAS), BLOCK OF LAND FOR SALE. ID: 85 GLYFADA, OFFICE SPACE FOR SALE. ID: 86 GLYFADA, OFFICE SPACE FOR SALE. ID: 1702 Office space for sale in Voula, Athens Greece. ID: 2115 Office space for sale in Voula, Athens Greece. ID: 2693 Office space for sale in Voula, Athens Greece. ID: 2013 Penthouse for sale in Alimos, Athens Greece. ID: 2445 Penthouse for sale in Ambelokipi, Athens Greece. ID: 2506 Penthouse for sale in Athens (Metaxourgio) Greece. ID: 2944 Penthouse for sale in Kolonaki center, Athens Greece. ID: 897 Penthouse for sale in Chalandri Center. 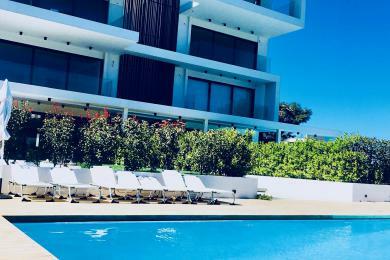 ID: 1045 Penthouse for sale in Elliniko. Real estate in Athens. ID: 1694 Penthouse for sale in Elliniko, Athens Greece. ID: 2227 Sea View Penthouse for sale in Elliniko, Athens Greece. ID: 431 Penthouse for sale in Glyfada. Real Estate in Athens, Greece. ID: 710 Penthouse for sale in Glyfada. Real Estate in Athens, Greece. ID: 833 Penthouse for sale in Glyfada. Real Estate in Athens, Greece. ID: 1138 Penthouse for sale in Glyfada. Real estate in Greece. ID: 1183 Penthouse for sale in Glyfada center. Real estate in Greece. ID: 1432 Penthouse for sale in Glyfada. Real estate in Greece. ID: 1509 Luxury Penthouse in Glyfada Center. AAA location. ID: 1872 Penthouse for sale in Glyfada Center. ID: 1987 Sea View Penthouse For Sale in Glyfada, Athens Greece. ID: 1988 Sea View Penthouse For Sale in Glyfada, Athens Greece. ID: 2071 Penthouse for sale in Glyfada, Athens Greece. ID: 2090 Penthouse for sale in Glyfada, Athens Greece. ID: 2161 Penthouse for sale in Glyfada, Athens Greece. ID: 2166 Penthouse for sale in Glyfada, Athens Greece. ID: 2319 Beach Side Penthouse for Sale in Glyfada, Athens Greece. ID: 2515 Penthouse for sale in Glyfada, Athens Greece. ID: 2577 Sea view penthouse for sale in Glyfada, Athens Greece. ID: 21 PAGRATI, PENTHOUSE FOR SALE. ID: 1734 Penthouse for sale in Paleo Faliro. ID: 1773 Sea View Penthouse for sale in Paleo Faliro. ID: 1174 Penthouse for sale in Varkiza. Real estate in Greece. ID: 2245 Top Floor Penthouse for Sale in Varkiza, Athens Greece. ID: 269 Penthouse for sale in Voula. Real Estate in Greece. ID: 513 Penthouse for sale in Voula. Real Estate in Greece. ID: 677 Penthouse for sale in Voula. Real Estate in Greece. ID: 1027 Penthouse for sale in Voula. Real estate in Athens Greece. ID: 1229 Penthouse for sale in Voula. Real estate in Greece. ID: 1263 Penthouse for sale in Voula. Real estate in Greece. ID: 1930 Penthouse for sale in Voula. Real estate in Athens Greece. ID: 2060 Penthouse for sale in Voula, Athens Greece. ID: 2061 Penthouse for sale in Voula, Athens Greece. ID: 2089 Penthouse for sale in Voula, Athens Greece. ID: 2219 Sea View Penthouse for Sale in Voula, Athens Greece. ID: 2294 Penthouse for sale in Voula, Athens Greece. ID: 2297 Penthouse for sale in Voula, Athens Greece. ID: 2298 Penthouse for sale in Voula, Athens Greece. ID: 2402 Luxury Penthouse for sale in Voula (Panorama), Athens Greece. ID: 2642 Penthouse for sale in Voula, Athens Greece. ID: 2668 Penthouse for sale in Voula, Athens Greece. ID: 2717 Penthouse for sale in Voula, Athens Greece. ID: 1058 Penthouse for sale in Vouliagmeni (Kavouri). ID: 1727 Sea view Penthouse for sale in Vouliagmeni. ID: 1845 Penthouse for sale in Vouliagmeni, Athens Greece. ID: 1938 Penthouse for sale in Kavouri. ID: 90 GLYFADA, SHOP FOR SALE. ID: 1873 Retail shop for sale in Glyfada Center. ID: 2228 Store for sale in Glyfada Center, Athens Greece. ID: 2295 Retail shops for sale in Glyfada Center. ID: 2906 Shop for sale in Glyfada center. ID: 2116 Store for sale in Voula, Athens Greece. ID: 2704 Office space for sale in Voula, Athens Greece. ID: 248 Apartment for sale in Glyfada. Real Estate in Athens, Greece. ID: 952 Apartment for sale in Glyfada Center. Property in Athens Greece. ID: 1559 Apartment for sale in Glyfada Center. ID: 1902 Apartment for sale in Glyfada Center. ID: 1903 Apartment for sale in Glyfada center. Real estate in Greece. ID: 2391 Apartment for sale in Glyfada (Golf), Athens Greece. ID: 2533 Apartment for sale in Glyfada, Athens Greece. ID: 2626 Single floor apartment for sale in Glyfada (Central). ID: 2659 Apartment for sale in Glyfada (Golf). ID: 2760 Apartment for Sale in Glyfada, Athens Greece. ID: 2792 Apartment for sale in central Glyfada, Athens Greece. ID: 2811 Sea View apartment for sale in Glyfada, Athens Greece. ID: 2940 Luxury apartment for sale in central Glyfada, Athens Greece. ID: 2360 Apartment for sale in Nea Smyrni. ID: 2198 Apartment for sale in Paleo Faliro, Athens Greece. ID: 775 Apartment for sale in Voula. Real Estate in Greece. ID: 835 Apartment for sale in Voula. Real Estate in Greece. ID: 2268 Apartment for sale in Voula, Athens Greece. ID: 2449 Apartment for sale in Voula (Nea Kalimnos), Athens Greece. ID: 2450 Apartment for sale in Voula (Nea Kalimnos), Athens Greece. ID: 1933 Top floor Apartment for sale in Vouliagmeni. ID: 268 Apartment for sale in Voula. Real Estate in Greece. 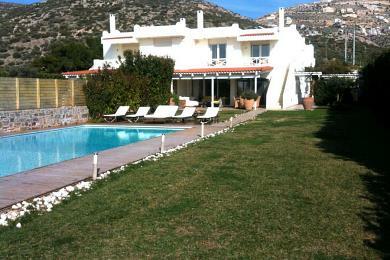 ID: 24 Villa for sale in Agia Marina. Real estate in Greece. ID: 1006 Villa for sale in Agia Marina. Real estate in Athens Greece. ID: 1700 Villa for sale in Agia Marina, Athens Greece. ID: 1809 Villa for sale in Anavyssos, Athens Greece. ID: 766 Villa for sale in Glyfada. Real Estate in Athens, Greece. ID: 1126 Villa for sale in Glyfada. Real estate in Greece. ID: 1184 Villa for sale in Glyfada (Center) Real estate in Greece. ID: 1427 Villa for sale in Glyfada (Aixoni). Real estate in Greece. ID: 2630 Villa for sale in Glyfada (Exoni), Athens Greece. ID: 2508 Villa for sale in Lagonisi, Greece. ID: 2290 Villa for sale in Palaia Fokea. ID: 1023 Villa for sale in Saronida. Real estate in Athens Greece. ID: 1025 Villa for sale in Saronida. Real estate in Athens Greece. ID: 2009 Villa for sale in Saronida, Athens Greece. ID: 1186 Furnished villa for sale. Real estate in Greece. ID: 1193 Villa for sale in Vari. Real estate in Greece. ID: 1337 Villa or sale in Vari (Korbi). Real estate in Greece. ID: 1354 Villa for sale in Vari. Real estate in Greece. ID: 1878 Villa for sale in Vari. Real estate in Athens Greece. ID: 1901 Luxury Villa for sale in Vari, Athens Greece. ID: 2261 Luxury Villa for sale in Vari (Korbi), Athens Greece. ID: 1343 Villa for sale in Varkiza. Real estate in Greece. ID: 1346 Villa for sale in Varkiza. Real estate in Greece. ID: 600 Luxury Villa in Voula. Real Estate in Greece. ID: 982 Villa for sale in Voula. Real estate Athens Greece. ID: 1022 Villa for sale in Voula. Real estate in Athens Greece. ID: 1198 Villa for sale in Voula (Panorama). Real estate in Greece. ID: 1567 Villa for sale in Voula (Panorama). ID: 1607 Villa for sale in Voula (Panorama). Real estate in Greece. ID: 2132 Villa for sale in Voula (Pigadakia), Athens Greece. ID: 2158 Villa for sale in Voula, Athens Greece. ID: 2289 Villa for sale in Voula, Athens Greece. ID: 756 Villa for sale in Kavouri (Vouliagmeni). Real estate in Greece. ID: 1667 Villa for sale in Vouliagmeni. Real estate in Greece. ID: 1681 Villa for sale in Vouliagmeni Athens Greece. ID: 2420 Beachfront Villa for sale in Evia - Greece. ID: 2151 Luxury Villa for sale in Mykonos. ID: 2153 Villa for sale in Mykonos, Greece. ID: 2156 Villa for sale in Mykonos, Greece. ID: 2377 Luxury complex for sale in Santorini, Greece. ID: 787 Villa for sale on Greek Island of Syros. ID: 1712 Villa for sale on the Greek isalnd of Syros. ID: 2563 Sea View apartment for sale in Elliniko, Athens Greece. ID: 113 GLYFADA (BEACHFRONT), APARTMENT FOR RENT. ID: 950 Apartment for rent in Glyfada. ID: 1296 GLYFADA (BEACHFRONT), APARTMENT FOR RENT. ID: 1348 Apartment for rent in Glyfada (Center - Golf). ID: 1350 Apartment for rent in Glyfada (Center - Golf). ID: 1351 Apartment for rent in Glyfada (Center - Golf). ID: 2130 Apartment for sale in Glyfada, Athens Greece. ID: 2167 Apartment for rent in Glyfada (Center). ID: 2471 Apartment for rent in Glyfada (Golf), Athens Greece. ID: 2688 Apartment for rent in Glyfada (Center). ID: 2698 Apartment for rent in Glyfada center. ID: 1246 Furnished apartment for rent in Kavouri. ID: 1593 Furnished apartment for rent in Kavouri. ID: 1956 Furnished apartment for sale in Vouliagmeni. ID: 1060 Commercial building for rent in Glyfada. ID: 2773 Triplex apartment for rent in Elliniko. ID: 946 Duplex apartment for rent in Glyfada. ID: 2756 Luxury Duplex apartment for rent in Voula, Athens Greece. ID: 2778 Duplex for rent in Voula (Panorama), Athens Greece. ID: 402 Furnished duplex apartment for rent in Kavouri. ID: 104 AGIA MARINA, FURNISHED VILLA FOR RENT. ID: 1926 House for rent in Alimos (Pani). ID: 1120 House for rent in Glyfada. Real estate in Greece. ID: 1353 House for rent in Glyada (Center - Golf). ID: 2482 House for rent in Glyfada (Golf), Athens Greece. ID: 956 House for rent in Voula. Real estate in Athens Greece. ID: 1648 Furnished House for rent in Voula (Central). ID: 87 GLYFADA, OFFICE SPACE FOR SALE. ID: 1062 Commercial building for rent in Glyfada. ID: 1161 Penthouse for rent in Athens. Real estate in Greece. ID: 947 Penthouse for rent in Glyfada. Real estate in Athens Greece. ID: 955 Penthouse for rent in Glyfada (Beach). ID: 1349 Penthouse for rent in Glyfada (Center - Golf). ID: 2095 Penthouse for rent in Paleo Faliro, Athens Greece. ID: 1826 Furnished Penthouse for rent in Voula. ID: 1057 Penthouse for rent in Vouliagmeni (Kavouri). ID: 2303 Shop for rent in Glyfada Center, Athens Greece. ID: 2307 Shop for rent in Glyfada Center, Athens Greece. ID: 2308 Shop for rent in Glyfada Center. ID: 1159 Apartment for rent in Athens (Isiodou). Real estate in Greece. ID: 1160 Apartment for rent in Athens (Isiodou). Real estate in Greece. ID: 1017 Furnished apartment for rent in Glyfada. ID: 1684 Furnished apartment for rent in Glyfada. ID: 1685 Furnished apartment for rent in Glyfada. ID: 2465 Sea View apartment for rent in Glyfada, Athens Greece. 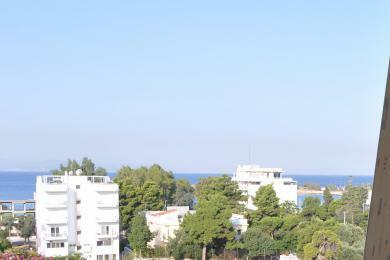 ID: 1934 Top floor Apartment for rent in Vouliagmeni. ID: 1965 Apartment for rent in Vouliagmeni, Athens Greece. ID: 2320 Apartment for rent in Vouliagmeni, Athens Greece. ID: 1811 Villa for rent in Anavyssos, Athens Greece. ID: 1026 Furnished Villa for rent in Saronida, Athens Greece. ID: 2059 Furnished Villa for rent in Vari, Athens Greece. ID: 1596 Furnished Villa for rent in Kavouri (Vouliagmeni). ID: 736 Villa for rent in Paros. real estate in Greece. ID: 2152 Luxury Villa for rent in Mykonos. ID: 2155 Villa for rent in Mykonos, Greece. ID: 2157 Villa for rent in Mykonos, Greece. ID: 2361 Villa for rent in Mykonos, Greece. ID: 2362 Villa for rent in Mykonos, Greece. ID: 2363 Villa for rent in Mykonos, Greece. ID: 2364 Villa for rent in Mykonos, Greece. ID: 2365 Villa for rent in Mykonos, Greece.